"Not at all. I am glad to have a friend with whom I can discuss my results. 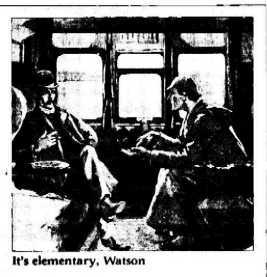 The matter is a perfectly trivial one" - he jerked his thumb in the direction of the old hat - "but there are points in connection with it which are not entirely devoid of interest and even of instruction." "I suppose," I remarked, "that, homely as it looks, this thing has some deadly story linked on to it - that it is the clew which will guide you in the solution of some mystery and the punishment of some crime." To order click and type "e-book" in the subject box and "Holmes Volume 2" in the body. We will send you the e-book by return e-mail.